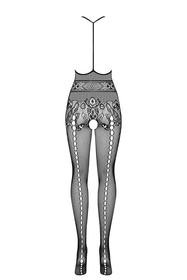 Sensual and seductive ladies bodystocking made of transparent net. Open crotch, round neck, back cut-out. Composition: 90% nylon, 10% elastane.